To change your luck on deer hunting adventure, one of the specific methods is the strategic deploy of deer decoys. They help you hunt more bucks than any other traditional methods you are using for years. Whether you are a pro hunter or beginner, you can use them pull the deer to your comfortable shooting zone. Though decoys are the great way to hunt, all of the available models are not the same. You need to identify and pick the best deer decoy from the market to bring success in your next hunting adventure. Decoys always favor the hunters. But identifying the best deer decoy is stressing and confusing task. To make it easy for you, here we will talk about several of the best deer decoy available in the hunting market today. 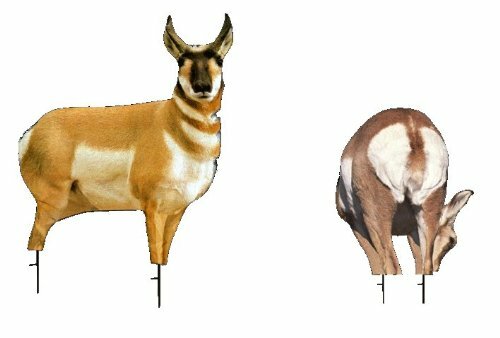 We have come up with ten best deer decoy to help you hunt the antelope in an easy way. You can also do it yourself, and if you don’t have much time, you can read this article to pick the best one for you. 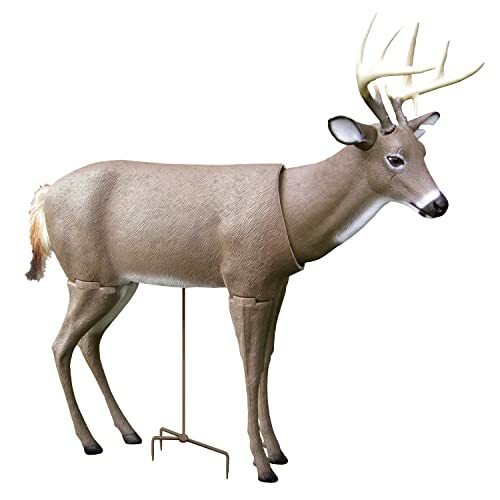 This full-bodied buck decoy by Primos is very effective at attracting other bucks. The Scarface is a quality materials built product by Primos. It is designed and tested for the toughest environments and situations. It’s realistic design lures the deer to your hunting spot. Whether you are a professional hunter or recreational user, this decoy will fit all types of people. Movement of your decoy is one of the crucial features for your success in deer hunting. With the Scarface, the slightest breeze will move the tail and head naturally. The antlers on this decoy are removable so that you can use as a doe decoy during the rut. Besides, it is very easy to carry. All of the Scarface components: head, antlers, ears, and legs fit inside the body cavity. The Antelope Buck and Doe combo by Montana Decoy gets you set up for any deer hunting situation you may find yourself in. The Montana Decoy combo is the perfect toolkit for any antelope hunt. All the body parts are constructed from durable material which enables the decoy to serve you with incredible long-lasting performance. The durable material like polyester and cotton were used for the body casing, and steel springs were used to pop up and fold down. The photo-realistic polyester fabric makes the decoy appear true to life. The impressive realism of these decoys will attract the keenest eyesight of deer. The two 2D decoys are portable and are perfect for any weather or season. 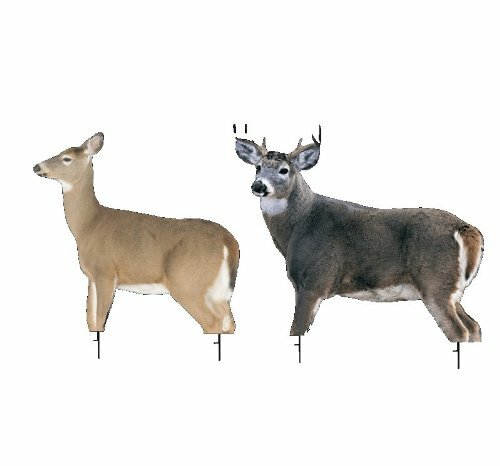 You can carry both the buck and doe decoy easily with you on every hunt. Set up is also very easy, they include poles for staking into the ground. They fit inside your backpack easily, ready for any decoy situation. This is a versatile combo, whether its spot-and-stalk situation, waterhole hunting, or making a setup while calling the rut, they are applicable in all ways! If want a decoy that can stand on its own on the frozen hard ground, this decoy is very stable on its four legs. Its composite plastic construction is robust for frequent use. To change the attitude of the decoy, it also features two sets of ears. Besides, the rear leg is designed to accept scent pads and the front leg is designed to allow MD-519 Invisi-Growl Electronic Deer Call which is sold separately. This will drive deer to focus their attention on the decoy very effectively. The head and legs fit perfectly and have plastic pins to hold all four legs. All the body parts head, limbs, and ears break down quickly, and you can store them inside the body cavity. It is lightweight and easy to carry. The setup procedure and take down is also very easy. Overall, this decoy is durable, looks real and the price is also great. 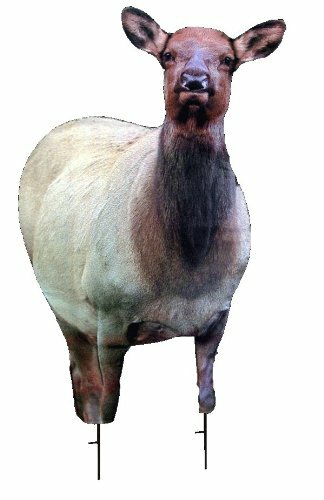 This photo realistic cow elk decoy is manufactured of a lightweight and durable polyester fabric. This decoy is durable enough to take day after day use without losing quality. It includes fiberglass poles with steel step stakes for support. 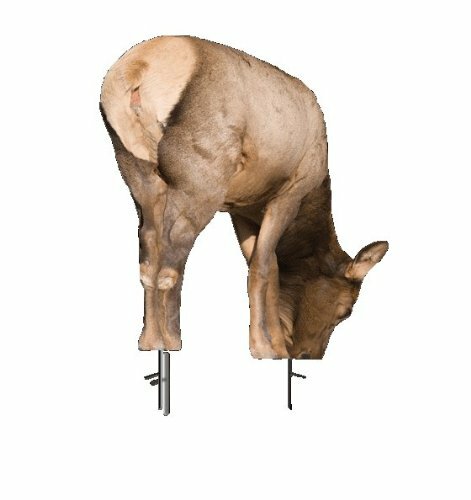 The Eichler Elk decoy also features a special string hanging system so that you can use over rocky areas or hard ground where the poles won’t work. The Eichler Elk Decoy features technologically advanced design and a photo-realistic presentation which are very effective to attract bull elk. Renowned bowhunter Fred Eichler designed this decoy. It gives elk hunters the edge they need. The decoy compresses down to a 19x 12 inches diameter disc. It weighs just 40 oz. including poles. So it is very easy to transport. The inside spring band unfolds this decoy for fast, simple setup. This decoy also comes with elk hunting DVD with how to tips, tactics, and hunts from Eichler. 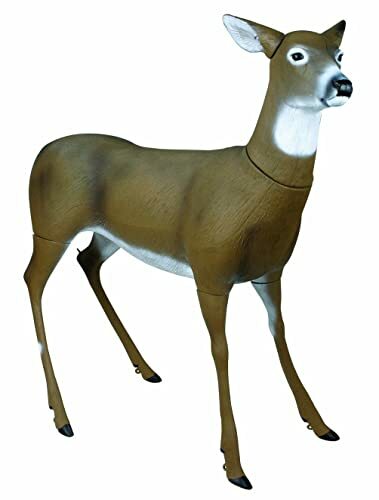 Doe Decoy by Rinehart Targets is light and easy to carry. To pack it up, it includes a carrying bag with shoulder strap. Comparing with the quality, weight and other features, this is one of the best decoy available in the hunting marketplace. As it is lightweight, a little bit of wind gives some natural movement to draw the attention of deer from distance. With its unique design and lifelike movement, this decoy proves appealing appearance to big game and predators alike. The award-winning sculpture design stimulates even the weariest animal’s curiosity. This decoy features exclusive Rinehart quiet foam, a compact easy carry design, and lifelike movements. 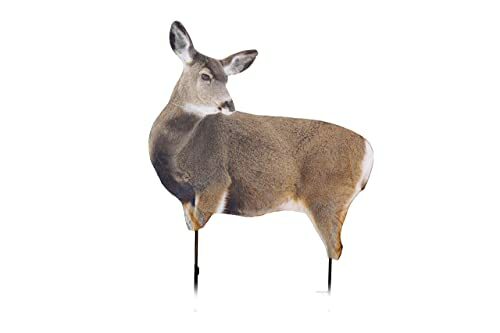 The rear leg has an attached deer call. The body parts can be easily detached for easy storage. Due to its rubber coating design, it is very easy to carry and set up. It also offers a removable antler to change from a buck to doe. The Dream Team Buck and Doe combo is a necessity for any whitetail hunter. This decoy system to use throughout the entire season. You can use the decoys during all phases of the rut, in feeding situations and even in late season. The Dream Team Doe and Buck decoy provide you with endless setup options. 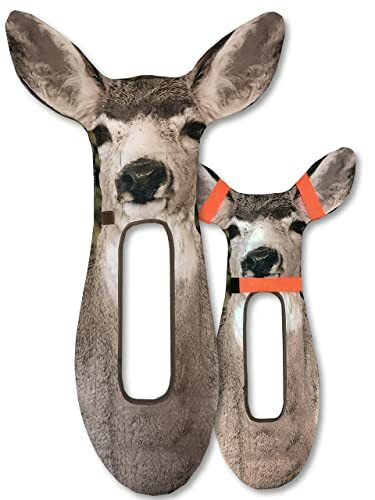 You can use these deer decoys paired with one another or on their own. 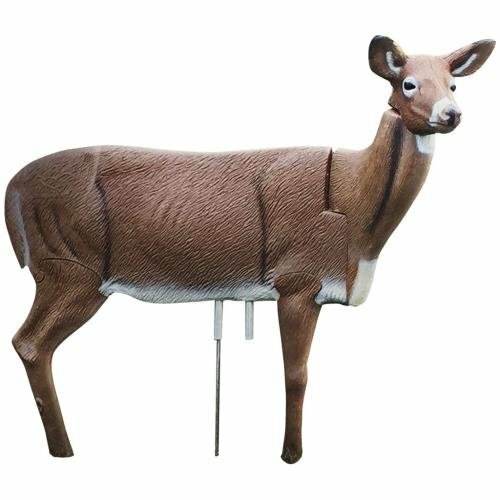 This deer decoy combo is a must-have for any hunter who wants to add decoying tactics. Both the decoys set up in seconds, fold flat, and fit easily in your backpack. However, this is the ultimate deer hunters package. It is one of the lightest decoys, weighs less than 4lbs. It is foldable, and set up and take down requires only a few seconds. Overall, sturdily built realistic decoy for your next hunting season. Can be used on their own/paired with one another. Like all other Montana Decoys, Miss Muley is also very effective in any hunting situation. To increase your odds you can take this 2D real-life deer decoy on your next hunt. Montana Decoy has created this decoy for the enthusiastic mule deer hunters. This decoy is made from an HD Photo of an actual mule deer. Its realistic pose easily grabs the interest of rutting mule deer. The life-size body gives you cover in stalking situations when there is not much. Easy setup, the photo-realistic body pops open very quickly and take down procedure is also simple. It folds down tight to the diameter of a dinner plate. The decoy is light enough to carry on your every hunt. Its size offers better visibility and increased stalking advantages. This decoy is also compatible with the Quickstand which is sold separately. Miss September is a highly effective decoy throughout the entire Elk season. With an actual Elk photo, this decoy attracts prey very quickly. It calms suspicious bulls, and the feeding urge offers that bull a reason to come near outside the rut. In late season situations or hard-hunted areas, this decoy can be the perfect addition to any setup. This decoy will work even more magic in connection with other Montana Elk Decoys. Miss September weighs about 33 ounces. You can fold it to a diameter of 22×33 inches. This decoy is easy to carry. So this decoy is going to be extremely portable for the long days even in the longest hikes. This is a very life-like decoy. Easy to use and looks great. Overall, this is a dangerous diva in elk country. The Mule Deer Decoy by Ultimate Predator is the most efficient and deadly deer decoys in the marketplace today. It is made of durable, Ultra Violet ray free, quick drying, microsuede fabric that ensures long life. This decoy also features built-in orange safety strap and built-in shooting window. It has customizable hook and loop attachment system. This mule deer decoy is going to be a game changer in your next bow hunting adventure. Easy setup, no need of extra hands. Take down procedure is also easy, collapses to a diameter of a 10-inch disc in seconds. The attachment system is also very easy. The Mule Deer Decoy weighs about 9.15 oz with a warped dimension of 9 inches. You will love this deer decoy. This decoy will make it easier to hunt all species. As an added defense, each decoy comes with the standard built-in safety orange straps. Overall, great product and straightforward to attach to your bow. The Antelope Decoy by Montana Decoy is constructed of a durable polyester fabric, and to hold the body there is a spring steel band inside the body. Fiberglass poles and step stakes are used to support the decoy. 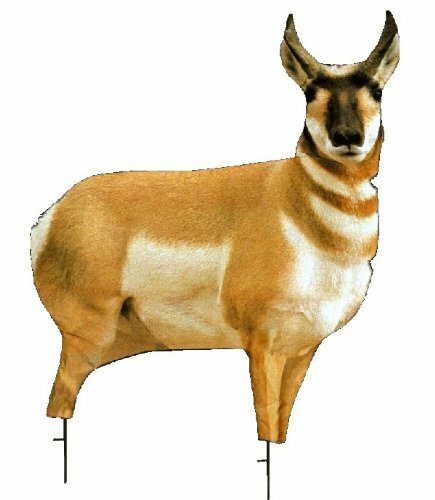 With a high-quality picture on both sides, it has a 3D look that attracts the antelopes. It is easy to set up and liter to carry. The set up is very easy, pop the decoy open, insert the two leg poles and the decoy is ready! As the setup process, the takedown procedure is also easy. By removing the poles and using an effortless twist, you can fold the decoy. When folded they are approximately 16-inches in diameter and 2-inches thick. They are flexible enough to conform into your backpack. Overall, quality product with life-like appearance. So you have read the article, these are the most favored decoys by hunters from all works. Successful deer hunting starts by recognizing and purchasing the best decoys. Besides, all decoys available in the hunting marketplace are not the same quality. That’s why we come up with the best deer decoy review article to help you make the decision easy. Whether you are a pro or beginner hunter, we hope the mentioned deer decoys will help you bag more bucks.